This is a small personal project. 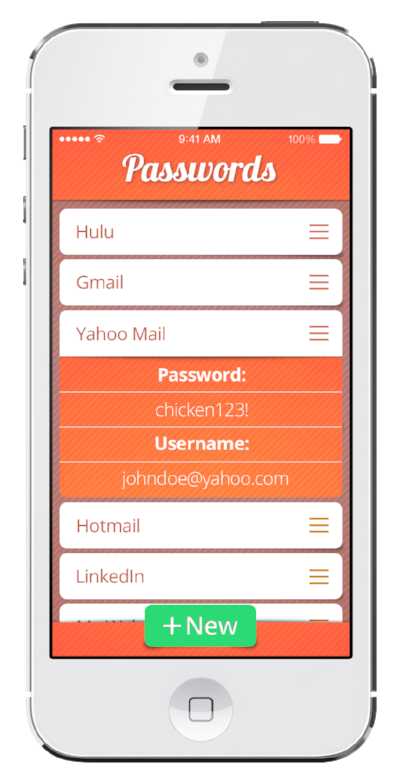 I was inspired to create a design for a clean and simple password keeping app that only had on it, what a user really needs. All of the password keeping apps I’ve seen are condensed with information and have too many options and icons. I tried to create the app with only four main pages to edit and view your usernames and passwords. At the bottom of the page you will find a small diagram showing how the app works.